A lot of photographers think that shooting a destination wedding is a glamourous dream assignment. I love shooting weddings at remote locations. I’ve photographed themed events as nearby as The Catskill Mountains of New York to some the faraway beaches of the Dominican Republic in the Caribbean. Every destination has it’s own charm and our job, as a destination photographer, is not only to capture all the joy and beauty of the wedding day, but also to capture the essence of the location where the event is taking place. When I take on a destination wedding assignment it automatically becomes a multi-day event. I arrive a day or two in advance of the wedding and spend the better part of the first day scouting out incredible locations for wonderful photographs. On the second day I like to do a casual, candid session with my brides and grooms...something that captures the beauty of their chosen destination without being overpowered by the formality of the wedding day. (Yes...even the most casual oceanfront beach wedding in some tropical paradise comes with a certain amount of wedding day formalities). Day three is the wedding day and myself and my assistant will be there by your side every minute capturing all the beauty and all the candid, spontaneous moments of your wedding in your chosen paradise. Whether it is a beach in the Caribbean or a quaint mountaintop lodge, logistical concerns are always an issue. 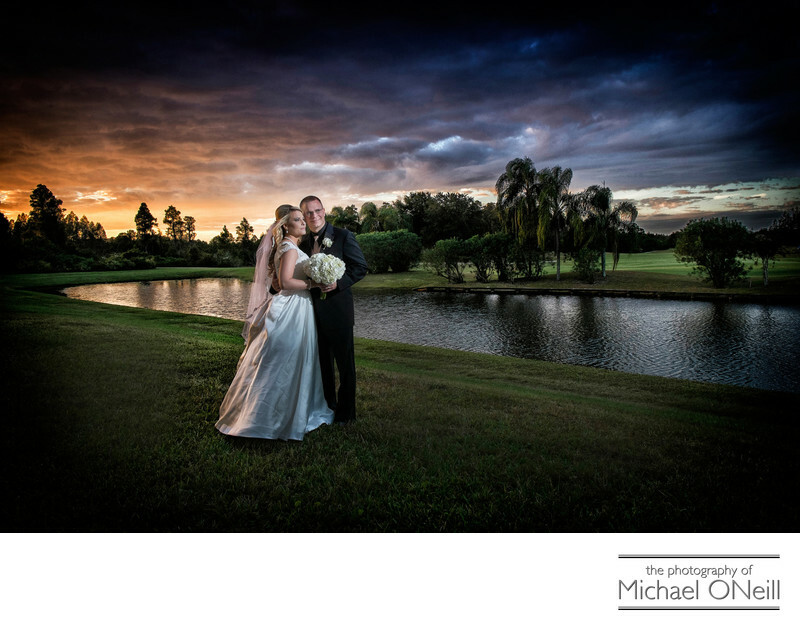 Make sure your destination wedding photographer has extensive experience in handling these types of events. For starters they should have an extensive equipment inventory with redundant backups of every one of their photographic tools. Repair and rental facilities are non-existent in remote locales. Make sure your photographer has secured the necessary non-resident work permits that are required in certain foreign countries as well as the appropriate insurance coverage for foreign locales. The wedding pictured here did not require a lot of red tape as it was held right here in the USA...a wonderful winter time wedding on the sunny Florida Gulf Coast. If you are planning a destination wedding and are looking for an experienced New York NYC destination wedding photographer I would love to hear from you and talk about your plans and ideas for the big event. Bon Voyage!